"Each piece is carefully constructed to both flatter a women’s figure and maintain her mystery... With our old-fashioned style and modern ideals, we believe the best is yet to come!" Don't you love that approach? Among all of the fabulous options on their website which is full of gorgeous vintage clothing, you'll find the Heart of Me Dress and the Lime Ricki Skirt (shown below). One of these is up for grabs! 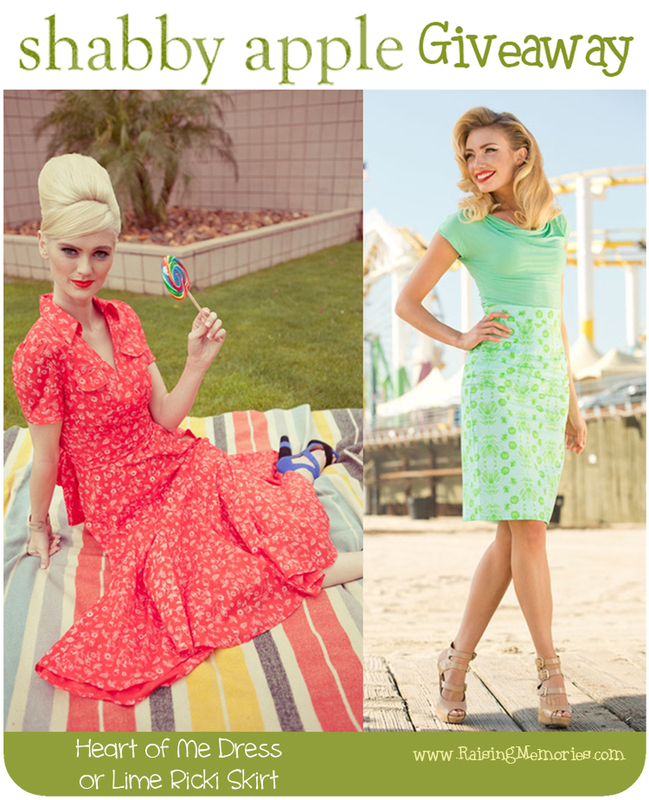 One of you will win either the Heart of Me Dress or the Lime Ricki Skirt (your choice). Very interesting post! I am really appreciated your afford! Thanks for your sharing! I love your blog very much. I am sure I will tell all of my friend to follow your blog! I would also like to invite you to visit my blog at http://1newbornbabyclothing.blogspot.com/ and share all the baby thing with you! Thanks a lot. Nice Giveaway, thanks. I am happy to see an LDS wife & mom who is not trying to be superwoman, just "trying to be good". That's all Heavenly Father wants form us!